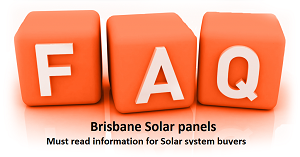 Thanks for the info, a solis 2.5kw inverter was offered by AGL solar systems. No worries Dave. Glad you found us! This is more a fact sheet that a review. just wondering if it is possible to adjust the ac working voltage on these inverters (mine is single phase) up a little bit to say around 245V AC ?? If so how is it done. We had a Solis 3.6Kw invertor installed in January this year via AGL and 14 Panels, no issues at all so far. Cannot be any worse than my SMA Sunny Boy SB2000 HF-30. 1 Month past the 5 year warranty period it gave up completely. Co-incidence? SMA’s response was ‘tough luck’! Who said buy European quality???? Yeah, thats what happens. Unlucky, I would just go with a Zeversolar inverter. Great Warranty, owned by SMA and half the price! Thankyou for your reviewing of this. I am in Melbourne Victoria. Can you recommend a good supplier down her for a solar package. Thankyou. Can anyone give me some advice for a solis 5000DB inverter mine has just stopped working and now have a huge electricity bill. i just happened to notice only a red flickering light was on no green operation light. I have been offered a solid 2.2kw to replace my 7 year old inverter. I have signed up for a 5kw system with a reputable(?) company. They quoted level1 seraphin panels and a 5kw Solax Inverter. After signing a contract they have sent me another contract with a Solis inverter and used this one to replace the solax. This seems a bit dodgy to me. Can someone give me some advice. Which is better Solis or Solax ? SolaX for sure, that’s why it costs a lot more. You’ve been baited. Thanks Daniel. I refused to sign the new contract and told them to cancel the agreement and refund my deposit. Without hesitation, they agreed to supply a Solax….there are a lot of shifty companies out there…everyone….be careful. There certainly is Robert. Good stuff, you caught them out. How is this a review for Solis? You used a screenshot of AGL poor reviews and tie it Solis inverters, yet when you read the reviews none of them had Solis inverters. You recommend Zeversolar, yet look at the feedback on solar quotes and they are far worse than Solis are. Solis are the cheapest inverter in the Australian Solar market. AGL and Solis are notorious for not helping out in warranty issues. Zeversolar before 2016 were a terrible inverter. However the newer model, the Zeverlution is excellent and costs quite a few hundred dollars more than the cheapies, like Solis, Growatt etc now. Been taking daily readings from meter as graph on AGL website way out in readings and always a day behind, Will see how next bill is. Thinking looking for another provider. You need to buy the Wifi Stick and plug it in the bottom of the inverter then link it to your router, go to youtube and read the instructions but you need to buy first the wifi stick. I have just installed mine yesterday, i have a 6 KW 4G solis inverter installed and functioning since October 2018.